It's pretty amazing to see the reaction in a stock price when news breaks out that Carl Icahn has taken a major stake in a low priced unknown stock. 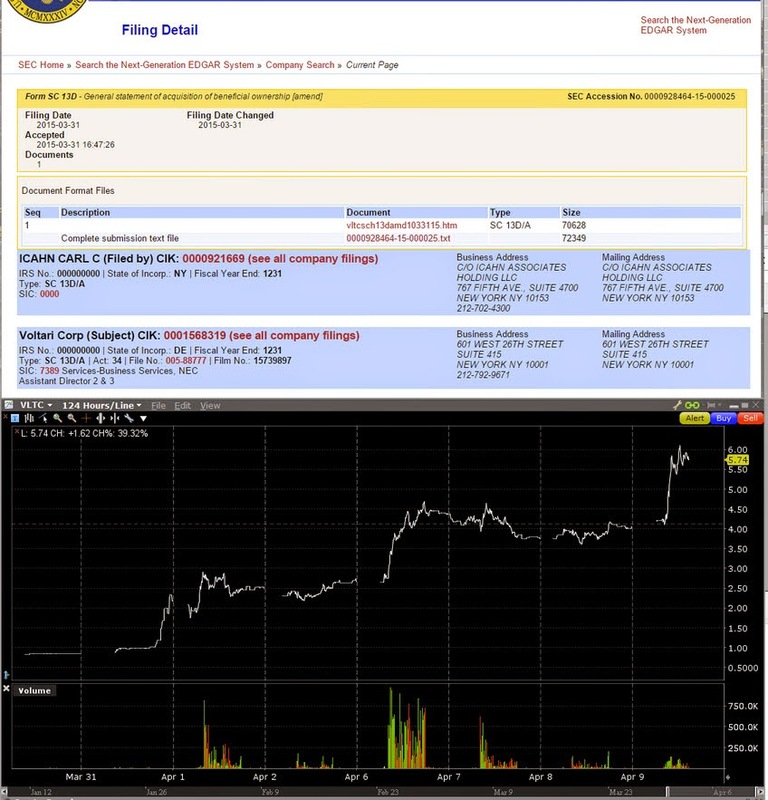 Voltari is up around 500% from where he made his last purchase. Carl had already owned shares of VLTC, but increased his stake by 600% with an average price of $0.85 per share. This isn't the first time Carl Icahn has taken a big stake in a company and had this effect on a stock. Some traders actively follow his trades and look to invest in stocks he takes large stakes in. There are many websites out there that can help you track his recent purchases and holdings. A fairly new website that I just came across; RankandFiled, is trying to make searching the SEC database less painful. I haven't spent a whole lot of time on the site yet, but I can say I like the visualization of data and that it's a whole better at indexing data than SEC.gov.